The unique but crumbling "Spider Light"
These lines from Auden often come to mind when someone dies, and particularly when I realise just how much I used to rely on them, or value them. I've mentioned this about my deceased father on more than one occasion. He was renowned for his tall tales and good company. But what many dismissed as yarns I've proven several times as based on fact, most recently the story of Press Gangs. I'm afraid I took my Father for granted when he was alive, how many times have I wished I could chat to him since he died. But if we can feel a loss at human presence is it not also possible to miss a feature of our lives, such as a building too? This came to mind recently when a friend of mine John O'Sullivan made a plea on Facebook concerning, what we locals would know as the "Spider light" at Passage East. You see the Spider light, which is more officially known as the Passage East Spit Light, is slowly falling asunder and unless some remedial action is taken will crumble away into the harbour currents and fade from our lives altogether. 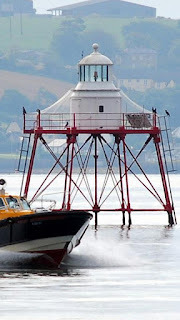 According to the Lighthouse Directory the Spider light dates to 1867 and was one of four built in the country. The man who designed it, and who won a world wide patent for the technology used, was a Dublin born engineer named Alexander Mitchell. 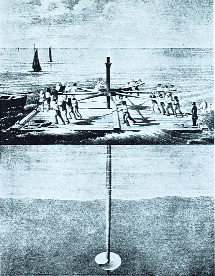 His patent was known as the "Mitchell Screw Pile Mooring System" or in modern parlance the "Helical Pile" and has been used in the building of lighthouses, bridges and piers etc. It was specifically for use in strong tidal conditions where shifting sands were a threat to foundations. His technology was said to be inspired by the use of a corkscrew. Mitchell died in 1868, a year after the Spider light was completed. 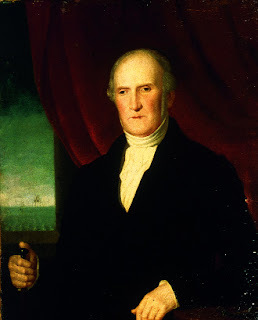 I can't find any mention of his working on it, however he was active up to his death and several of his sons were engaged in the trade, so if not he, then probably his sons overlooked the work at Passage. Unfortunately I could find nothing in a brief search of the newspaper archives. I'm sure some account is there, and certainly the minute book of the Harbour Commissioners would be informative. Next year the Spider light will reach is 150th year of operation. In that time it has effectively marked the entrance to the inner harbour and ports of Waterford and New Ross. It has seen a legion of merchant ships, naval vessels, pleasure craft and fishing boats safely upriver. It has also welcomed many a tall ship. 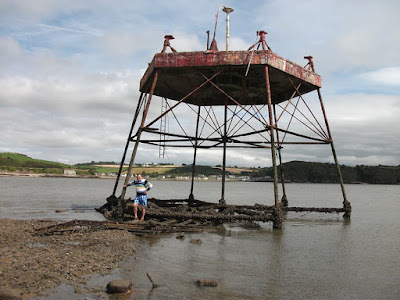 One of the old "buoy gang" of the harbour told me that he recalled it being refurbished last in the late 60's, but this blog piece highlights that the fabric of the light have been slowly eroded over time. I believe that the current plan is that the Spider Light be decommissioned and I guess either allowed crumble, or be removed. A replacement pole! with a light atop is now positioned to mark the spit. Now John's plea was driven by a sense of outrage I think. A pal of his had shared a photograph (below) of a similar lighthouse in Cork harbour close to Cobh. The comparisons are clear for anyone to see. The Spider is clearly un-cared for, whilst the cork lighthouse has recently been refurbished and offers a practical stylish use and historical link to times past in the Cork harbour area. I know that the Port of Waterford (having replaced the Commissioners), which is tasked to maintain the beacon, has struggled financially in recent years. And it's pointless to compare the two ports. (And in their defense, I understand that the Cork lighthouse was damaged by a ship strike some years back and insurance may have provided the much needed restoration work there.) All that being said however, I do believe that if the port was to seek support from the harbour area and the mariners who ply its waters, that the necessary funds and expertise could be leveraged to maintain this heritage landmark. Many thanks to John O'Sullivan and his friends who gathered a lot of information about the topic. 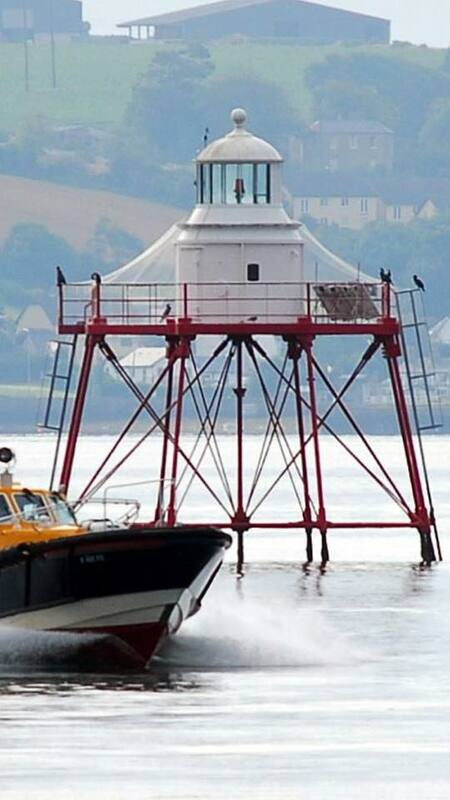 Thanks also to the Barony of Gaultier Historical Society who have promoted the cause of the lighthouse.